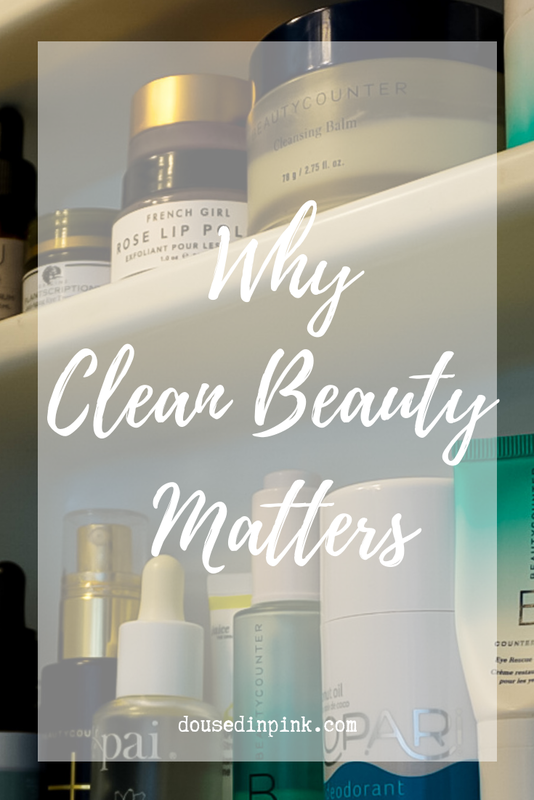 I've gotten lots of feedback from you that you're interested in clean beauty, but you're also skeptical. I know I initially believed that I wouldn't find anything as good as my non-clean products and was apprehensive that it would cost a fortune to swap everything out. In the back of my mind I was likewise thinking, does it really matter? For me, it all started when we found out our daughter had topical allergies and we had to start reading labels on all of the beauty and skincare products she used. And being a teenager, she loved makeup, so it was not an easy task. Then, after I was diagnosed with breast cancer, with no genetic predisposition, I wondered if the cause was environmental factors and started paying more attention to what I was putting on my skin. Here's why it matters...Once I started researching, I learned that the personal care industry is highly unregulated and 80% of the chemicals in personal care products have never been tested for safety! Companies can tout that their products are "organic," "green" or "natural" and still be filled with toxic chemicals that are harmful and could have long-term health impacts. 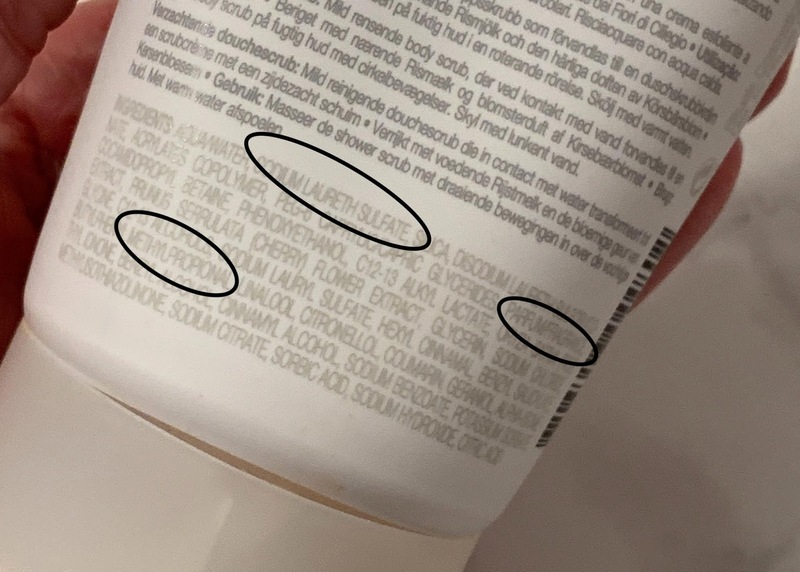 Did you know that the European Union bans about 1,400 ingredients from personal care products, Candana bans 600 and the United States only bans 30? Women use an average of 12 personal care products a day, and men use about 6. Teenage girls average 17 products a day. This can mean exposure to hundreds of chemicals just in the course of a morning beauty routine. Reading labels and determining what is really clean can seem impossible! You have to think about your beauty and skincare ingredients the same way you think about food ingredients. If you're gluten-free, on a special diet or allergic to an ingredient, you know how important it is to read the labels and understand what you are reading. And because of product marketing, labels can be deceiving. Ingredients are listed from the highest concentration to lowest. When I first started looking at the ingredients in the products I used, I found that almost all of them contained at least one offender. I've listed a few of the most common below, but if you want a full list click here. Another point to remember is that chemically derived ingredients may have several different names. Parabens are used as preservatives in cosmetics and skincare to help extend shelf life. They are dangerous because they can mimic the estrogen hormone in your body's cells and disrupt your hormone balance. Increased estrogen levels have been associated with certain breast cancers and can also lead to reproductive issues. BHA & BHT are synthetic antioxidants used as preservatives in lipsticks, moisturizers, and other personal care products. These chemicals are linked to endocrine disruption and organ system toxicity. Did you know that Fragrance is considered a trade secret? This means that companies do not have to disclose what ingredients make up the fragrance and it could be made up of toxic ingredients that can cause allergies and hormone disruption. The fragrance industry also regulates itself so that safety testing does not have to go through regulators before it is sold to consumers. Phthalates are plasticizing chemicals that are used to make cosmetics more pliable and help the product stick to our skin. They are endocrine disruptors and could also cause birth defects. Formaldehyde is another preservative and a known carcinogen that is linked to asthma, neurotoxicity and developmental toxicity. It is usually found in shampoos, body washes, and bubble baths. As you run out of products, make one swap. You don't have to go out and replace all of your products at once. Start with those that are absorbed by your skin the most. Your lotions and serums are going on your face and body twice a day and under your makeup. These give your makeup a base layer, and your makeup is not as absorbed into the skin as your skincare products are. However, lipstick is the one beauty product that you are likely to ingest and that I switched out right away. It's okay to have a few non-clean brands if you have a favorite product that you don't want to give up. The EWG database and Think Dirty app are great resources to look up products to see if they have potentially harmful ingredients. But remember that your favorite product could be rated as dangerous because it has a questionable ingredient from one specific study, has limited information or because it may cause allergies. Keep this information in mind when you are making product choices and always consider the fine print. If you follow the 80/20 rule, you won't feel deprived. Shop clean brands and retailers. These brands and retailers have already done the work for you by researching the labels and ingredients. Plus, they offer free returns so you can try new products with no risk! Beautycounter. You already know I love this brand and what they stand for! They've been instrumental in the clean beauty movement and active in Washington. They make everything from skincare to hair products to makeup, and even have men's skincare and baby/kids products! Their Never List is made up of over 1500 harmful ingredients and chemicals that they never use as ingredients in their products. Sephora's Clean at Sephora section online. Some of my favorite products that they offer are Kopari (their deodorant is my favorite, and it works! ), I've used Origins and Caudalie products for years and was happy that they both have the Sephora green leaf stamp of approval! Follain. Another company that has been making an impact on the clean beauty industry by only offering the best of the best. They have a restricted ingredient list and do extensive research and testing on every product they curate. They have the best petroleum-free lip balms! I hope that I didn't give you information overload! The takeaway: Identify your everyday products that come into direct contact with your skin the most and start swapping as you run out.